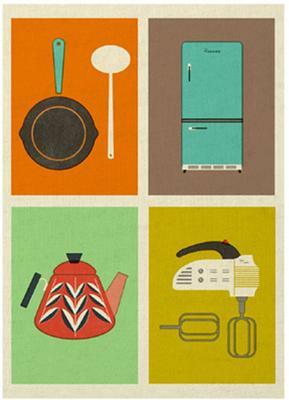 Beautiful, chic and stylish, The Modern Home Tea Towels in a set of 2 is perfect for your kitchen. Crafted from 100% cotton, the towels feature bright bold prints showcasing a variety of retro items. 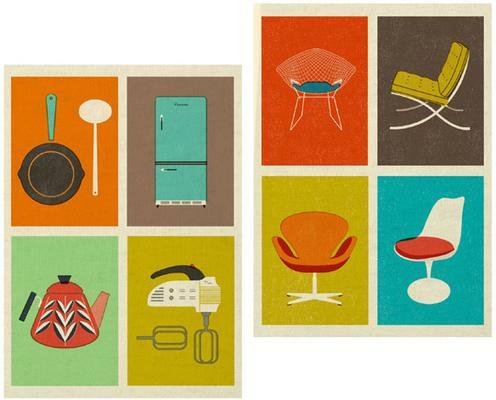 One piece showcases various types of chair while the other shows kitchen items in an illustrative style. 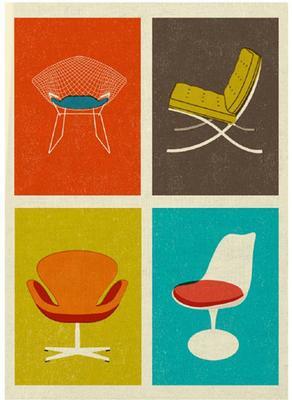 You can hang this inside your kitchen area as decor or as actual towels you can use. They're great for adding colour inside space. If you like, you can also give this away as a gift to a chef or home cook. It's a beautiful set that's definitely great for your home.